living healthier lives in service to the King! 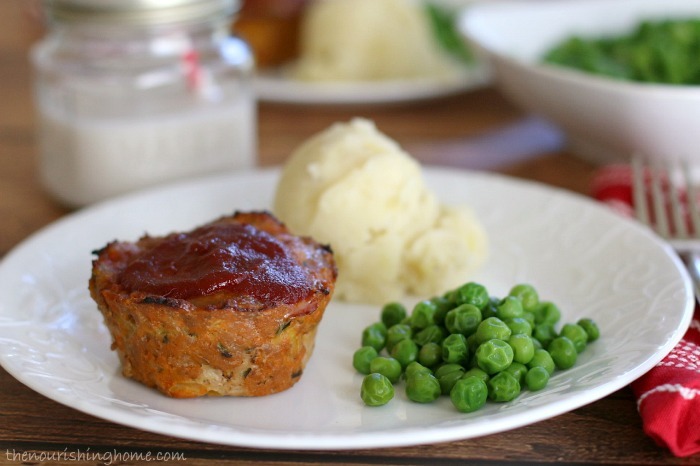 There’s something magical about making meatloaf in a muffin tin. Maybe it’s the cute-factor of having your own personal little muffin of meaty-goodness? 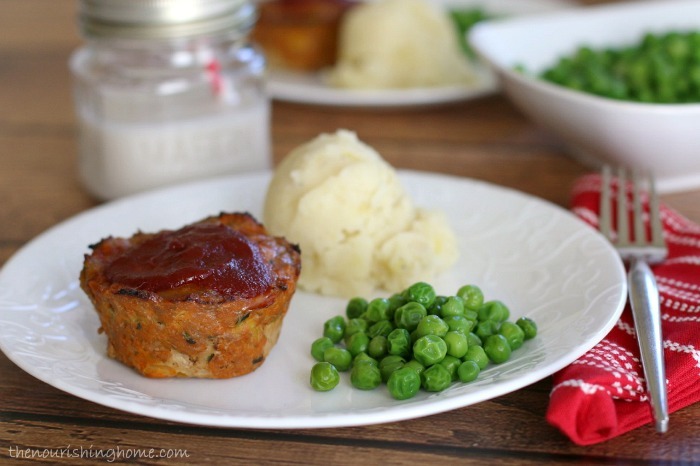 Or maybe it’s the fact that each little meatloaf bakes-up so moist and flavorful! 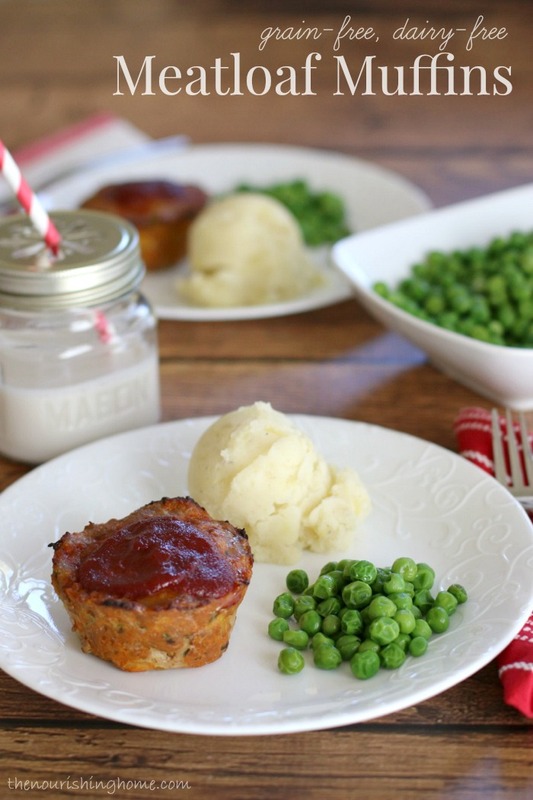 Whatever it is that makes my family go crazy for these veggie-laden meatloaf muffins, I’m all about serving healthy foods that bring a smile to their sweet faces – and the sweet faces in your home too! Chock-full of healthy veggies, these mini-meatloaves are super simple to make and not only make a delicious dinner, but also a great lunch too! Their compact size helps them pack-up nicely in your favorite bento-style lunch boxes – and no need to reheat, since they taste great cold too! So, rather than shopping on this glorious Cyber Monday, I’m in the kitchen making Cyber Monday Meatloaf Muffins – may sound silly, but it’s true! Like Cyber Monday, these mini-meatloaves will save you time (you can make them on a weekend and reheat for a quick weeknight dinner, or freeze them for an easy future meal), and they’ll save you money (ground meat is one of the most economical cuts and you can use any veggies you have on hand). So why not join me in a little meatloaf making fun? I’m all for bringing a little creativity to the table to help kids learn that healthy eating is delicious and fun! Preheat oven to 350 degrees. Lightly oil a 6-cup jumbo muffin tin; set aside. Heat a skillet to medium-high heat and add about one tablespoon of olive oil. Sauté finely chopped onion, peppers, carrot, zucchini and garlic until soft (about 3-4 minutes). Place ground turkey (or chicken) in large mixing bowl and add the veggies to the turkey and allow to cool a minute. Then add all of the remaining ingredients, except for the optional topping. Using your hands, combine the ingredients together until well incorporated. Evenly divide the meatloaf among the 6-cups in the prepared jumbo muffin tin. Bake approximately 20 minutes. Remove from oven and top with the ketchup-maple topping (see note below), if desired. Return mini-meatloaves to the oven and continue baking for another 15 minutes, until cooked through. Enjoy! Time-Saving Tip: Make a double or triple batch and freeze them for quick and easy dinners. Just thaw in fridge overnight and reheat in oven. • Bake for 15 minutes, then add the ketchup-maple topping, if desired. Return to oven and continuing to bake another 10-12 minutes until meatloaves are cooked through. My new cookbook is here! 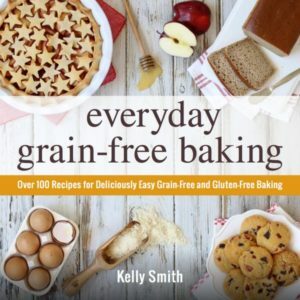 With more than 100 irresistible recipes, Everyday Grain-Free Baking teaches you how easy it is to create grain-free, dairy-free versions of all your family’s favorite baked goods. 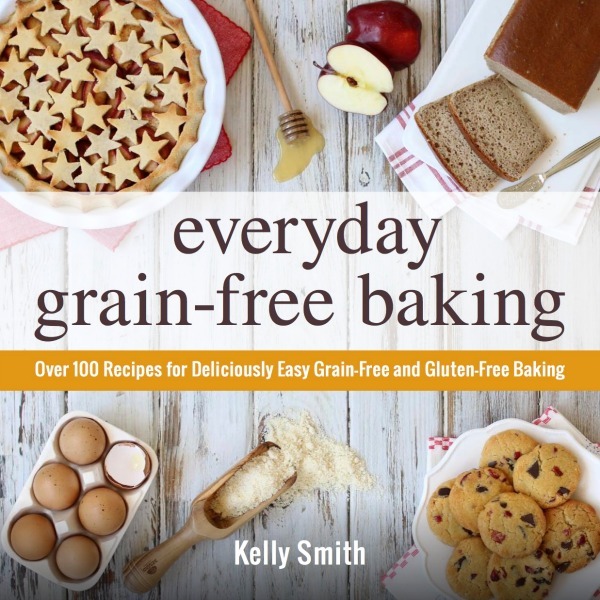 From breads, biscuits and muffins to savory snacks and decadent treats, you’ll find step-by-step instructions, beautiful color photographs and helpful tips & tidbits to make all of your GF baking adventures a delicious success! Click here to get a SNEAK PEEK of the book! Top 10 Tips to Get Your Grill On! Could we sub in whole wheat flour here? Nut allergies. Thanks! Just made these, and they were delicious!!! my picky 5yr old went back for seconds and there are no leftovers. That speaks volumes over here 🙂 I added sprouted brown rice crispies b/c i was out of cashew flour and then added cheese because of egg allergies. The recipe filled my 12 muffin tins to overflow. Thank you for this recipe. I feel like I have hit the bottom for ideas lately for dinner. you are a blessing!!! Can I use ground beef I don’t have ground turkey on hand. Wonderful recipe! Followed all ingredients except forgot carrots ;( Had canned baby carrots on hand so chopped those instead but added to mixture at the end not to mush. Turned out just fine! Such a great find! Added to my favorites…this will be a weekly recipe prep on Sundays! Hi I am curious about freezing these. Do I bake them the full 20 min , cool and freeze , then thaw and bake again ? I am just worried about over baking . Made these last night–they were so delicious! I followed your recipe exactly (using your instructions for the 12-cup muffin tin, since that was all I had on hand). The muffins were incredibly moist and flavorful. Lots of oohh’s and aahh’s at the table! Welcome to The Nourishing Home! All content (recipes, photos, posts, etc.) on this site is the creative property of Kelly Smith. You are welcome to share a photo via social media, as long as it contains a link back to the corresponding recipe or post from this site. However, you may not republish a recipe in its entirety in any form. For questions, or for permission to use a photo or recipe, please contact me via email at [email protected] Thank you! Please Note: All content (recipes, photos, text, etc.) on this site is the creative property of Kelly Smith of The Nourishing Home. You are welcome to share a photo via social media, as long as it contains a link back to the corresponding recipe from this site. However, re-publishing a recipe in any form is strictly prohibited. Additionally, please refrain from adapting recipes without properly linking back to the original recipe, and keep in mind that simple substitutions do not constitute an adapted or original recipe. For details regarding recipe copyright law, please visit the Food Blog Alliance. The Nourishing Home is a participant in the Amazon Services LLC Associates Program, an affiliate advertising program designed to provide a means for sites to earn advertising fees by advertising and linking to amazon.com.